Let's see if we're a great fit for your printing needs! You can also skip right to requesting a quote! Are you looking for quick copy services like scanning and printing blueprints and emails? Is quality important for your project? Is it important to hit your deadline? Are you looking for something a bit different than what most printers offer? I want to print T-Shirts, mugs, keychains, and other promo products. Oh no! It looks like you requested a service that we don't provide (Promotional products/quick copy services). It looks like we may not be the best fit for your project but that's no problem! Here’s a list of vendors that we like to recommend depending on your needs. If you want to continue with us to see what we do offer, you can just press on the right arrow at the bottom. Our smaller sized prints are very popular for selling art and our poster machine prints great quality on a satin coated paper. If you're looking for top of the line exhibition quality printing, check out our friends at Milk Studios. These guys scan and print on a wide variety of media. They can even do large format scanning. FedEx on Vine and Sunset have a machine you can plug in your flash drive to print architectural drawings. They also have self-serve and shipping options. We do not provide on the spot printing or quick copies. We don't specialize in printing individual photos. We can print many photos if we print them all at the same exact size but our quality is not considered photo quality. We print on mostly paper and thin plastics so if you're looking for printing on pens, napkins, bags, boxes, etc. Check out our friends at Janmart USA. We do not provide scanning services but we can certainly print from the digital files you get scanned. We do not print on fabric or t-shirts at this time. We have not worked with anyone directly for a project but these guys get good reviews on Yelp. Just press the next button to get the process started. Great! We recommend calling us at 323-464-1640 right away so that our rush printing experts can jump on the phone with you. You can also continue through the process and call us afterward so that we can take a look at your file and see all the specs up front. What would you like to print? * This field is required This is a fairly comprehensive list of products we've printed. If your item isn't on here, we may not provide the service. How are you going to use this product? Sharing the intent of your printed piece will help us give you the best service and value. Here are some super rough prices for low quantity booklets to see if we're within your budget. If these rough prices look good, we recommend continuing through the process to dial in your quote. We treat each project as a custom project and we use the same production level machine whether we're printing 1 or 1000 books. That means you're getting top quality printing and binding but we're also not going to be your lowest cost option. Pages = Single numbered page as in a novel. Paper time! Take a quick look at our paper categories. You will be able to select the paper type by pressing on the next button below. Based on the images you previously saw, which paper would you like? Great! Now for paper thickness. How thick would you like the paper? Images are not to scale. Would you like to add a new dimension to your printed piece? 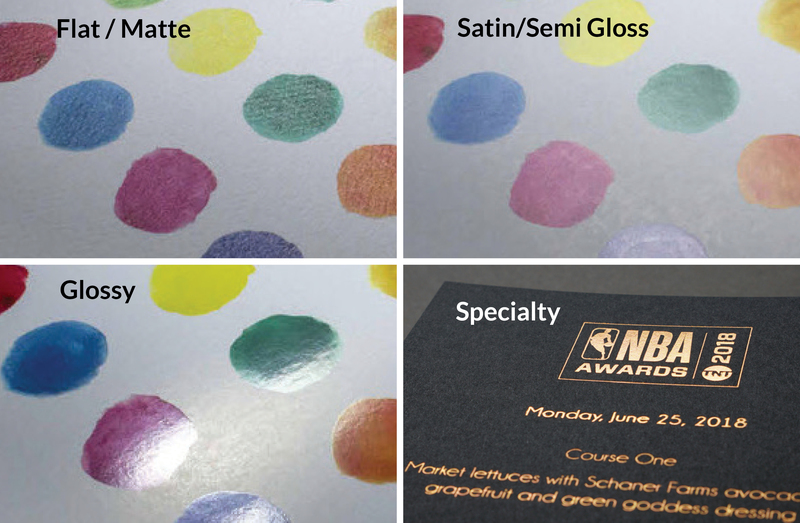 Due to popular demand, Raised Gloss and Digital Foil Stamping is available in-house. Let us know if you're interested in learning more. It's easy and fast with us. Great! So we've gone through the basic options. Would you like to see what else is available? We can open the flood gates but we thought we'd check with you first. Just press next to skip through. 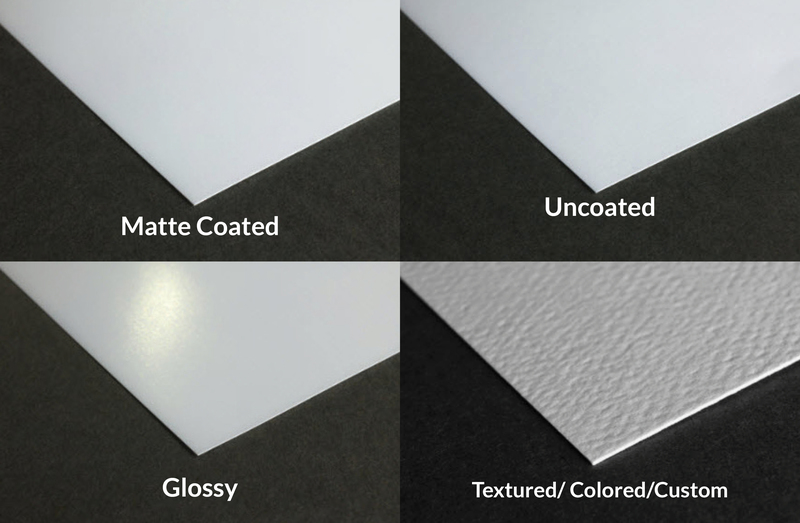 Take a look at some of our print methods. We have several methods to change up the way your print looks! Based on the previous images, what type of print / ink would you like? No gloss - flat/ vintageSome gloss - coated but not too glossyHigh GlossSpecialtyNot sure. Help me decide. Not sure. Help me decide. Additional Finishing Options Check off the ones your interested in. Additional Specialty Options and Upgrades Organized by price. Check off the ones you're interested in. Reorder Information / Quick Message Just give us the previous order number or type in what you need and we'll work on it. If you have an updated file you can submit it next. Did you have a new file you wanted to upload? Great! Just copy all the project specifications in the box below. Any additional items you would like a quote for? Additional Items / Products Just type the specs below. Almost there! Upload your files / mock ups to get the best quote and recommendations. When do you need this project completed? * This field is required Let us know when you need the project complete. We can help with rush services if needed. Wow this looks like a rush order! We recommend giving us a call at 323-464-1640 so that our rush printing experts can jump on this. How would you like to receive the product? Pick up at our store in Hollywood, California.Ship/Deliver (additional cost)Not sure I'll let you know later. Pick up at our store in Hollywood, California. Not sure I'll let you know later. Shipping Address Optional but would speed things up! We made it! We just need your contact info so we can get right back to you with the quote.